Free Shipping Included! 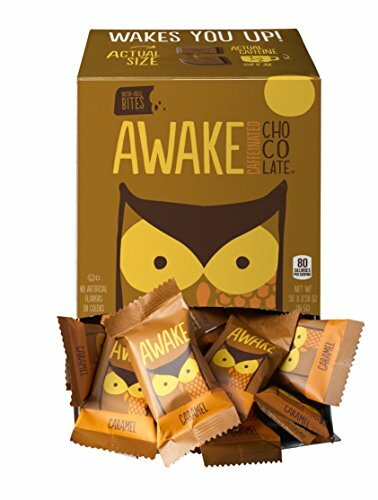 Awake Chocolate Caramel Chocolate Bites, 50 x 15 Gram by AWAKE Chocolate at 365 Days Of Kindness. Hurry! Limited time offer. Offer valid only while supplies last. Here’s the deal—We’ve packed these delicious AWAKE bites with as much caffeine goodness as half a cup of coffee (or a 125ml energy drink). Here’s the deal—We’ve packed these delicious AWAKE bites with as much caffeine goodness as half a cup of coffee (or a 125ml energy drink). Perfect for when you got to get stuff done, and just don’t have the energy to do it. Try it in life changing caramel chocolate! If you have any questions about this product by AWAKE Chocolate, contact us by completing and submitting the form below. If you are looking for a specif part number, please include it with your message.